Thread: Is a VPS more secure than a shared hosting? I don't know this is true or not but I think a VPS is more secure than a shared hosting. How can anyone answer me? why? Nothing is secure until you take necessary steps to prevent hacking attempts. VPS considered as one of the best platform compare to shared hosting because it will give you optimum and dedicated resources to fulfill your server needs. If properly setup and configured, ​a VPS will be more secure than a shared hosting. Because even with platform like cloudlinux, there are not enough isolation between each websites on a shared hosting. So that mean you can have security issues due to another website on the same server. And that's only true for real virtualization like KVM or VMware, because you have the same isolation problem with OpenVZ or LXC. This just depends on how they're set up and managed. You can put a WordPress site on either one, which can hacked regardless of how well the server itself is secured. Neither or both. It all comes down to how much you care about your security and what you have put in place to help that. In the general term I would say shared because it has a lot of restrictions therefore its harder to get around it and I dont really see why someone should put in so much effort to hack a shared hosting. Neither VPS nor Shared hosting are secure... its only depend on managment and functionality. The most secure is hire a real server (metal server) so you don't care the others thing. You are the only one person manage your server machine. There is no more security features with a bare-metal server than with a VPS. And the availability is better with VPS. In short, it can go either way. If the Shared hosting accounts are hosted on a dedicated server, and the server is setup correctly, e.g., mod_security, firewall, all software's are the latest version, but more importantly, CageFS from CloudLinux is being used, then I would say that setup would be more secure than a VPS. That said, if the VPS also has the same setup then it can be just as secure if not even more secure. One of the main differences between Shared and VPS is Shared server is usually using kernelcare from CloudLinux, so the kernel is automatically upgraded which means all hosted accounts on the server run under the most recent secure kernel. The difference between OpenVZ and KVM is OpenVZ kernelcare works for all VMs hosted under OpenVZ by default, i.e., each VPS customer does not have to install kernelcare for their own VPS. However, if the provider uses KVM then each VM's kernel's needs to be updated separately from the main node itself i.e the main node's kernel can be protected by kernelcare, but not the customer's VMs unless they have also installed kernelcare on their own VPS, too. So if you look at it like that I would say OpenVZ VPS first (but only if because performance may be better), then Shared hosting and then finally KVM/Xen VPS. If the Shared hosting accounts are hosted on a dedicated server, and the server is setup correctly, e.g., mod_security, firewall, all software's are the latest version, but more importantly, CageFS from CloudLinux is being used, then I would say that setup would be more secure than a VPS. Good information to know. Is there a way that someone can check to see if their shared web hosting has these all installed and setup correctly? Some kind of test or service perhaps? Perhaps, if administered correctly. Shared hosting can have a variety of file directory weaknesses, which can be exploited if the hosting provider does not have appropriate security measures in place. The security of your VPS or shared hosting depends on the security features provided by your host. Many web hosts provide rock solid security to protect clients data like firewall protection, ddos protection and more. It depends on how well you can secure your own VPS. If the shared hosting provider has better security than what you would be able to setup, then the shard hosting would be more secure. But a VPS gives you all the control so in theory you can lockdown your server much more. Nothing is secure if hackers can hack the government then they can surely hack a regular server. having said that a vps is usually safer than shared hosting. Because usually if a vps is compromised it's kept to that VPS container. Security really depends on the webmasters. Nothing is secure enough until proper security steps are taken whether it is shared or VPS. Not to disagree but...there hasn't been a case of a website in one control panel account infecting websites in other control panel accounts on the same server in years. Cloudlinux and other platforms really prevent such cross-account infections. The only way a website on one account can infect the website on another account is if the server has been compromised at the root level. Or, someone with login credentials on multiple control panel accounts has a password stealing trojan on their local computer and hackers are logging in to each control panel account and infecting the websites. I have agree, but the dependency how to secure the server in both mode. Now i am taking about VPS, It is bascially secure according to your application install on that, and some of basic security like DDS protection, CSF/firewall, Encryption password and so more. There is no difference. 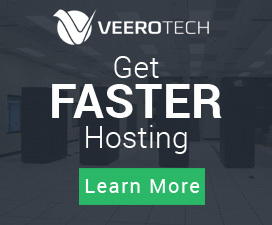 Shared hosting runs on a VPS or dedicated server as well. The base for both is a Linux OS. 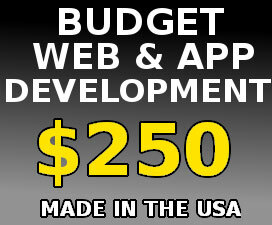 Then you need a web server and software which manages the websites. In most cases, it's Cpanel/WHM. You can install those to a VPS as well effectively using your VPS for Shared hosting. Security depends on how well you secure your Linux installation. For example, if you mess up Permissions it will be easy to hack your websites. I would say if you don't know what you are doing shared hosting is more secure because it's a professional who is running both Linux and the web server. On the other hand, if you know what you are doing a VPS is probably more secure as there is less reason to attack your website running on a VPS than many websites on a big dedicated server running cpanel/WHM. Security of shared hosting depends on your hosting provider whereas that of VPS depends on your webmaster. While using shared hosting make sure to go through their security documentation to find out the best practices, and also google for their past instances of security breaches and how they handled it. If you're using VPNs, ensure that you are able to, at least, implement the security features used by typical shared hosting providers. Otherwise, it's better to go for shared hosting. Shared hosting is normally more secure as administrators are more experience and in many cases there are more than one administrator involve and proper monitoring is done by shared hosting provider. On the other hand vps is your responsibility, if you are better administrator than web host administrator than your vps will be as secure as web hosting is. Some hosts use CloudLinux OS CageFS in their shared hosting services to protect each client, so even if another client gets hacked, the other customer won’t be affected. Of course, you also need to take care of the security of your site - make regular updates, ensure that your computer is protected from visruses, etc. I checked some managed providers but if I buy extra managed service, its fee is very high. I would like to manage my VPS for myself, just a small issue is I don't know about how to secure it as good as others. I don't think so, because more website owners know how to manage server hosting better than who is manging government's websites. My Facebook account is banned? How to get Rapid result in SEO? Is it a good idea to have social group for an online blog?